Your first decision to make: do I need a bag or a box? Clear boxes come in unique shapes that can add a touch of whimsy or sophistication to your retail look. Clear boxes also come in hundreds of sizes, allowing you to find just the right fit. Clear boxes have been shown to provide better barrier properties when compared to the traditional pink bakery boxes we’re used to seeing in grocery stores, meaning your cookies stay fresher, longer. Fresher cookies = happy customers! Clear boxes also provide extra protection and stability for your cookies, and are easier to stack on shelves. If you like the idea of a box, but really want something that stands out, Crystal Clear Pop-Up Tubes might be the right fit! These tubes all ship and store flat, which saves on shipping and storage space. They are quickly assembled and make a neat to-go container for your customers. Finish with a label or sticker to seal the tube, and you have a great retail option. Another big trend gaining popularity is Kraft paper packaging. Kraft paper is similar to the brown bag material school lunch bags are made of. This paper is recyclable and offers a very Eco-friendly look to your products. Kraft paper is available in our Pop-Up Tubes, or a tapered tote box with window. 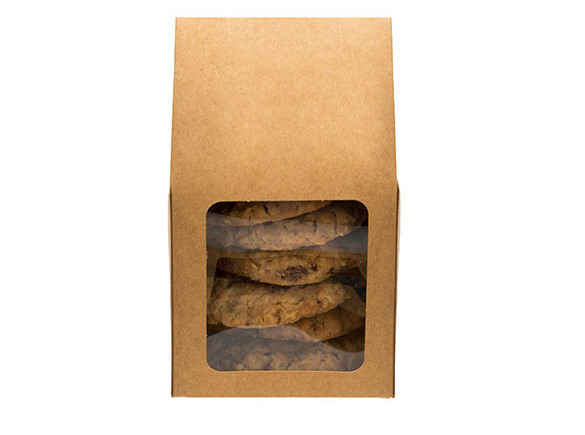 For smaller cookies, our window Kraft boxes offer another packaging option. But what about bags? Don’t worry, we’ve got those too! Want to keep it simple? 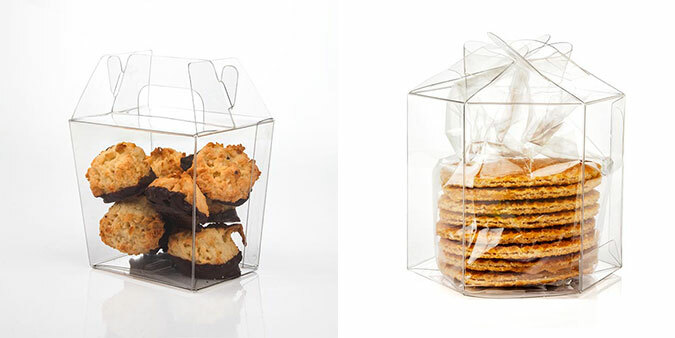 Toss those cookies in a crisp Crystal Clear No Flap Bag. 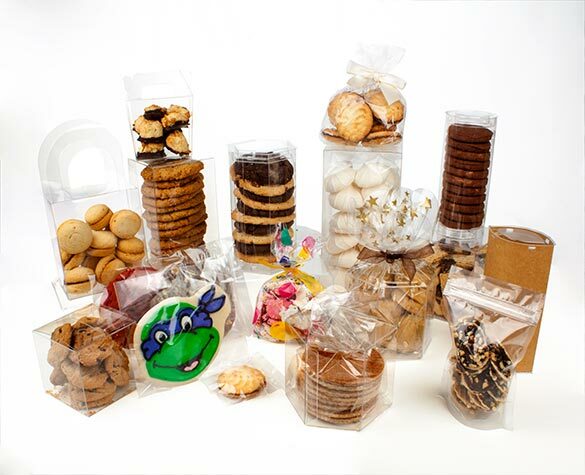 The No Flap bags are great for bakeries, and point of sale cookies. If you’d prefer to dress it up a little, Glassine Envelopes offer a frosted look and a waxy feel. If you need to package bunches of cookies in a hurry, the standard gusset bags work great. They come in over 20 sizes, and are wonderful for grab and go. 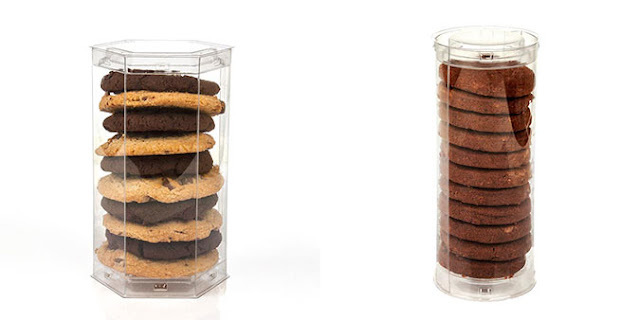 We at ClearBags love to see cookies. Period. But we love it even more when they’re stacked up to the top of one of our Flat Bottom Gussets with Paper Bottom. The cardboard bottom adds some stability and protection for your cookie, and the open end means you can seal with a label or one of our Bows. 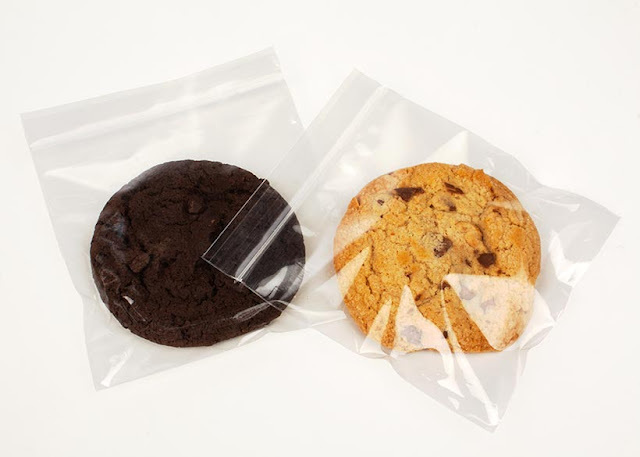 If you’re packaging tons and tons of cookies and need a quick and tamper proof seal, our Heat Seal Bags are ideal. 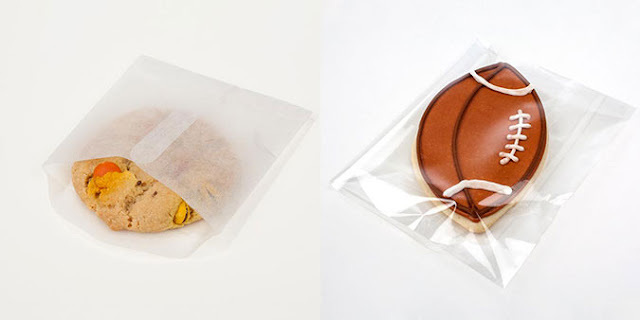 Once sealed, these bags can provide a better barrier than a standard open ended bag. Available in a standard and a laminated option, you get to choose the barrier that works for you. Use a Hand Sealer to seal them closed and they’re ready to go. 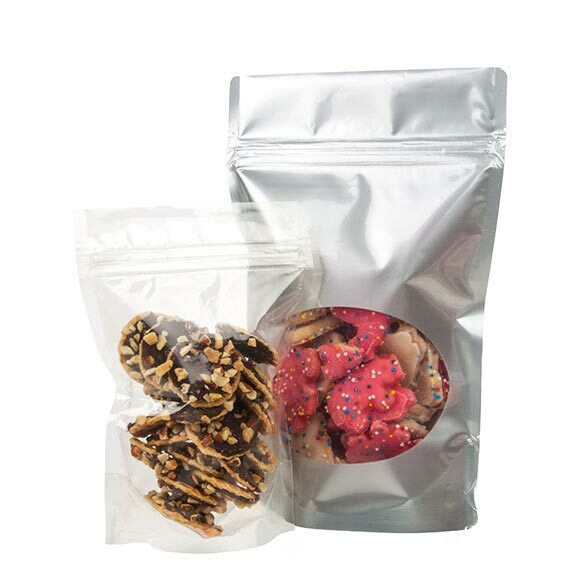 Another great option for bulk cookies is the Stand Up Zipper Pouches. These bags are dressed to impress. They come in so many colors and styles, ready to coordinate with your company’s colors. These bags provide the best barrier out there! With metallized options, air and moisture are nothing to worry about. These bags allow you more time to sell your cookies by extending the shelf life. They come with a resealable zipper on the top so your customer doesn’t have to eat them all in one sitting…or they could. 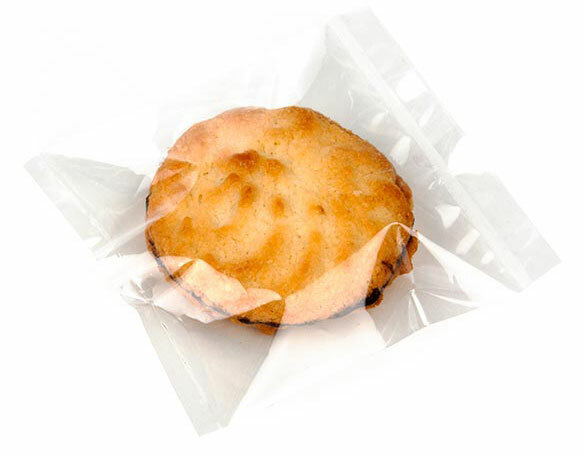 Our Crystal Clear Zip Bags are an easy option that takes no additional equipment to seal. Just pop in the cookie and zip closed. Want a carry out option? 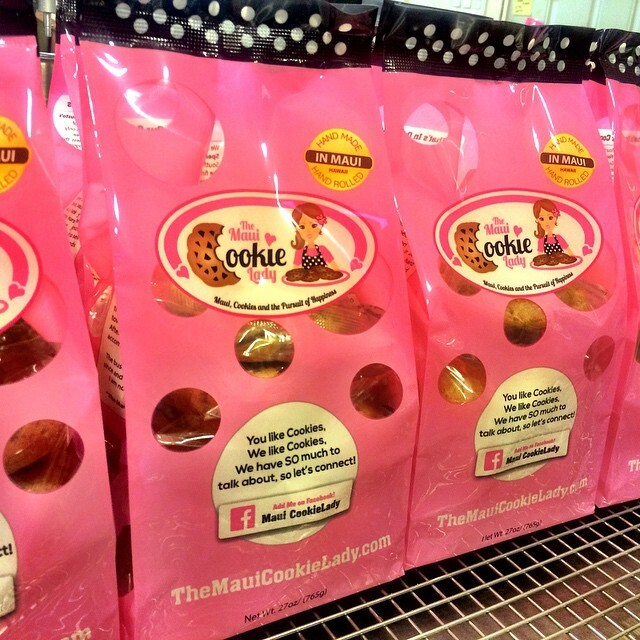 Our zip bags with a handle make that an easy option, plus they look so much nicer than grocery bags! Finally, if you want to take it to the next level, it may be time to consider custom printing. Our team of Customs Specialists will help you get your artwork on the bags, and then get your bags in your customer’s hand! With full color capabilities, we can do just about anything. Minimums start as low as 2500 pieces, meaning it’s an option for everyone. Cookies aren’t going anywhere soon, and as long as they need packaging ClearBags will be here to help.